"We pulled up to the farm and with the windows down, we knew we had arrived at our destination." "One of my business partners called me from Nevada and told me he was coming up to Seattle to visit family. He wanted to visit a legal WAstate-licensed cannabis farm. Specifically, one grown with sustainable practices. "I called a friend and his first recommendation was Canna Organix in Sequim WA, home of the Lavender Festival. 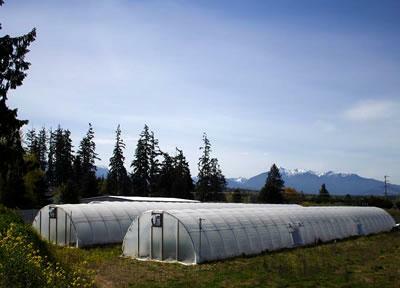 "Canna Organix was happy to make time to give us a walk-through tour of the farm. Seven days later we were on a road trip through acres of evergreen forests. We arrived in Sequim after a three-hour drive from Seattle. Following the advice of Google Maps, we found ourselves at the end of a dead-end road where we met someone that was able to guide us to our destination. He told us to follow our nose. Excellent advice. The Facility in it’s youth.